The Michael Group is a leader in non-fiction television series & programming. At The Michael Group, our reputation proceeds us. Our work is well known for its creativity as well as the high-quality productions that we produce. Our innate talent for storytelling allows us to deliver the best content for our range of network clientele. The Michael Group is a leader in non-fiction television series and programing. 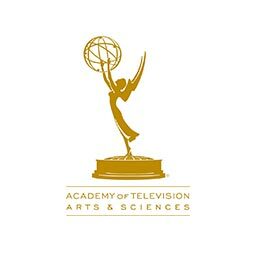 We have produced numerous TV series and specials for a variety of genres including reality, documentary, competition, lifestyle and docu-soap programming. We have made a name for ourselves with our compelling storytelling, “fresh” ideas, and unique access to great stories and characters. What Goes Into Making A TV Series? Making a non-fiction television series or special, that airs on a major network is no easy feat. Bringing the creators vision to life is a task that requires a team of professionals to handle all aspects of the creator’s vision. At The Michael Group we don’t shy away from hard work and total dedication to a TV series or special that we’ve committed ourselves to. We’ve traveled internationally and crisscrossed America to ensure that incredible stories are brought to the TV screens of millions of viewers worldwide. So, what exactly goes into making a TV series or special, and how can we help? To film and produce a TV Series, a variety of moving parts and actions are needed. Developing and producing a TV show requires different stages and processes in order to take it from a mere pitch, to viewing it from the comfort of your home on television. Pitching your planned show to a prospective producer can be daunting. If you haven’t done the necessary legwork, the chances of your prospective TV show ending up on air is minimal. A pitch would consist of your premise, structuring of episodes as well as anything you could use to ensure that networks won’t steal your idea. You should also do a short promotional reel. Here’s where we come in. We’re here to help you with pre-production from beginning to end – including the creation of the necessary promotional reel as part of your TV series pitch. Feedback received from the network stations, will need to be taken into account. At The Michael Group, we have skilled researchers and writers on staff to help you shape the message of the story that you’re trying to tell. No TV series or special could be brought to life without the help of talented crew and cast members. We only work with seasoned professionals within the US and around the world. Our crew and talent booking team will help you find the perfect fit for your show. The production stage is the actual filming of your television series or special. It contains a variety of important elements to ensure that your show is shot correctly including props, filming, camera crews, and sound production. Finding the right camera crew can be difficult. At The Michael Group, we’ve got every shot covered. We’ll ensure that your video production goes as flawlessly as possible to create only the best series or special. Awful sound quality is guaranteed to turn your video production and series into a gigantic miss. Having the right sound team ensures that your series meets the highest standard of sound recording. This is where the magic happens. In post-production, everything comes together in order to create your perfect TV show. Here is where everything shot during the production phase is edited and color corrected to ensure that the viewers at home only see a seamless and incredible TV show. The team at The Michael Group has produced series and specials for a variety of major networks including A&E, Animal Planet, BBC, History, Discovery, National Geographic Channel, Travel Channel, DIY, PBS, CNN, MSNBC, NBC, TVOne, Bio, ID: Investigation Discovery, CBS Sports Network, WEtv, and The Weather Channel. 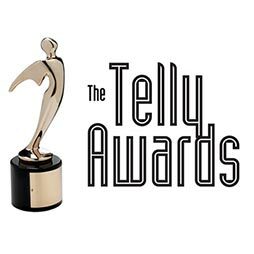 The Michael Group has been honored by the Telly Awards and received an Emmy for our work in television. How Can The Michael Group Help You? Taking into account the variety of major networks we have worked with as well as the awards we have won, The Michael Group is a one of a kind video production company. We are perfectly suited to help you bring your TV series to life.